I’ve shared little Zelda: Breath of the Wild clips here and there for nearly a year now, and each month I find something so unique it makes me want to try it myself. That’s definitely the case here with highwindstryker, who uses Revali’s Gale to swoop up into the air to launch apples from a tree — and immediately engaging in a made-up minigame of sorts to shoot them all. It’s such a little exercise but it’s one worth sharing! 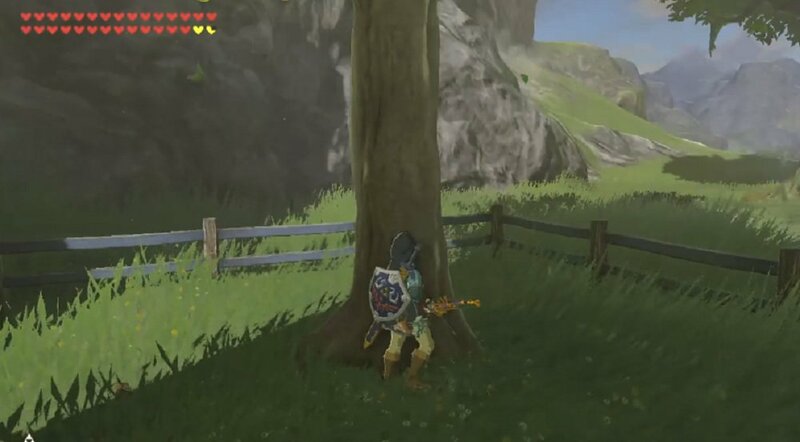 The open-ended physics system is something that might be returning when Zelda‘s next game comes along, as Nintendo has promised that they’ll retain the “freedom” of Breath of the Wild.